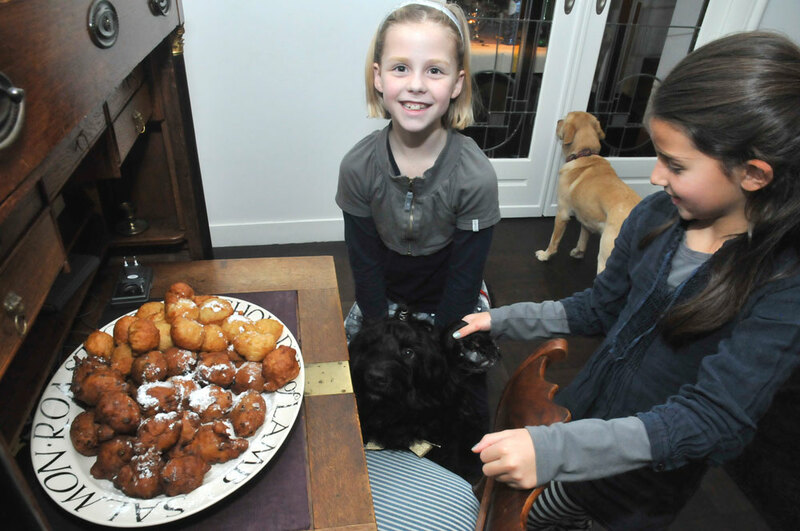 Oliebollen is the most traditional Dutch treat at New Year. Yatzie was very tempted! She is more focussed on food than ever before in her life... Even the fireworks did not scare her, since I kept offering her nice treats as they cracked off - for like 45 minutes... Previous years she has been afraid hiding under the Christmas tree during the fireworks.This year she enjoyed the company of her labrador friend Luna as well as all the kids. Below you see Emma and Josephine. The oliebollen are said to have been first eaten by Germanic tribes in the Netherlands during the Yule, the period between December 26 and January 6. The Germanic goddess Perchta, together with evil spirits, would fly through the mid-winter sky. 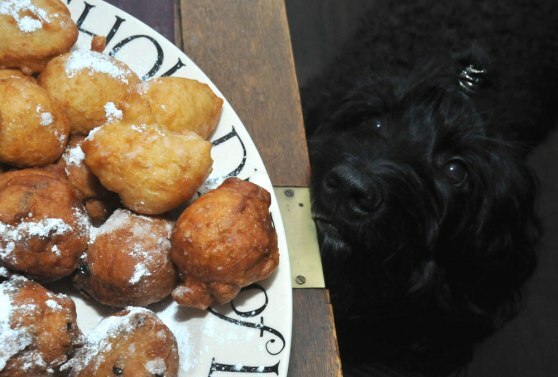 To appease these spirits, food was offered, much of which contained deep-fried dough. It was said Perchta would try to cut open the bellies of all she came across, but because of the fat in the oliebollen, her sword would slide off the body of whoever ate them. 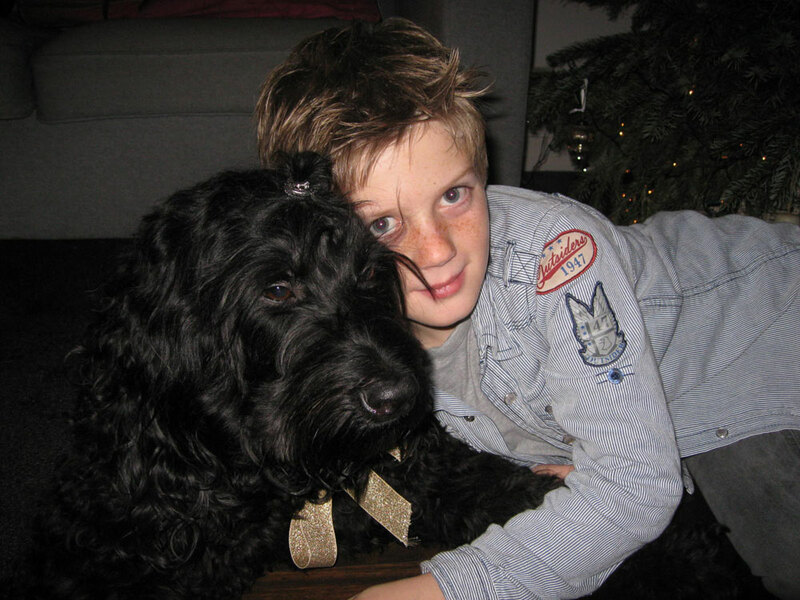 Birthday hug - Bas, Yatzies Dutch mini dad, turned 10 years at midnight! Hurray!